I am a life-long Iowan. Originally from Decorah, Iowa, I moved to Iowa City to attend the University of Iowa Law School in 1997 after graduating with a degree in Economics from Luther College. My wife, Mara, and I fell in love with this town, and made Iowa City our home. Mara worked at the New Pioneer Coop as a graphic design artist for 14 years, and has worked at the Iowa City Public Library for the past four years as a graphic design artist. Our daughter, Nora, attends Longfellow Elementary. We’re proud Longfellow Longhorns! 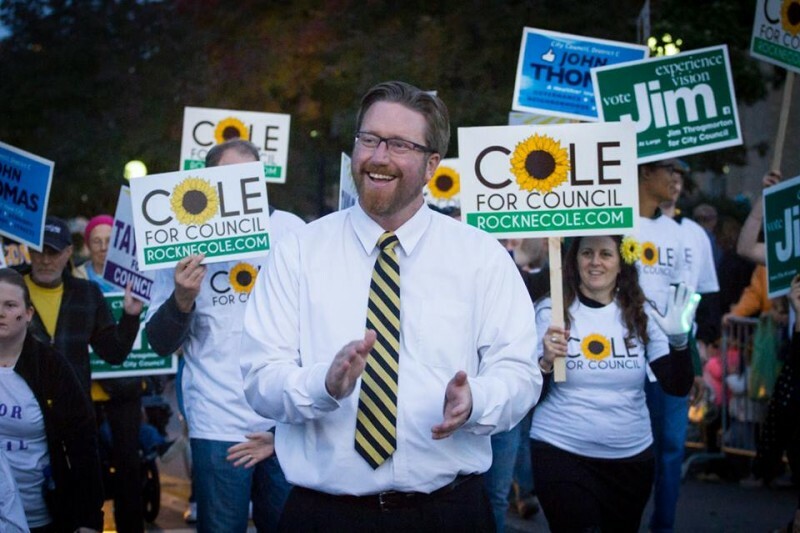 ​I have worked as an attorney in Iowa City for 15 years, and owned a small business, Cole & Vondra, PC in downtown Iowa City since 2006. Throughout my career, I have fought hard for progressive causes such as immigrant justice, historic preservation, smart growth, a green city initiative, expansion of local food acccess, and most recently, a food truck pilot program.